 » Fiction » Vous lisez actuellement "Le plombier bien nommé"
Je vis une inscription qui avait fière allure. 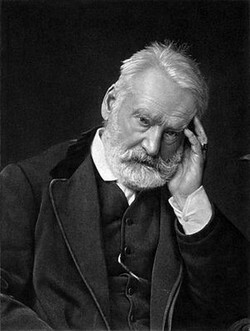 Était écrit en gras : Victor Hugo, Plombier. Énorme, bedonnant, on aurait dit Hercule. Allaient rejoindre au sol les clés et les marteaux. Un nom comme celui-là, mon Dieu, quelle destinée ! Voilà plus de vingt ans que je suis installé. © JM Bassetti, 26 février 2013; Tous droits réservés. It comes as no surprise that it has been repretod that voters in six (6) States complained about having their votes for Mitt Romney fraudulently recorded as votes for Barack Hussein Obama; as those who would be for the Muslim Islamic Jihadi militant friendly President would be just as crooked as he is.He lied about being a Christian; he lied about Ambassador Steven’s death being a result of a movie made about Islam’s prophet Mohammad, as he allowed six (6) American citizens including Ambassador Steven to die at the hands of Jihadi militants by denying their request s for military aid while relieving General Ham from his Command for choosing to give the military aid requested during a seven (7) hours of firefighting; he led Amos Gilad into believing Egypt’s Muslim leader would ever consider having Egypt be a Democracy; he’s lying about Israel’s being responsible for the war which continues between them and Jihadi militant Radical Islamists; and he’s misleading the American voters by saying five (5) million jobs have been gained during his term in the Oval Office, without saying how many millions of jobs have been lost.I would also come as no surprise if Barack Hussein Obama had a hand in the plane carrying ballots for the American troops which are part of the United Nation’s war against terrorists Radical Islamists Jihadi militants being downed: because he may be believing that, because of his lack of support for their brothers and sisters in arms, American troops would cast their vote for Mitt Romney.If Mitt Romney doesn’t win the election in the manner in which Ronald Reagan did when he ran against Jimmy Carter: either the American public is blinding it’s self to the escapades of the Muslim Islamic Jihadi militant friendly Barack Hussein Obama; or what has been repretod to have happened in the six (6) States has also happened in the other forty four (44).